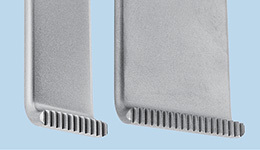 Ultra hard titanium nitride coating helps to extend blade life by increasing surface hardness, prolonging sharpness, and resisting chemicals and corrosion. 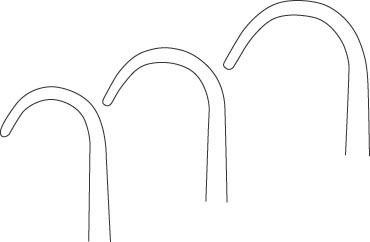 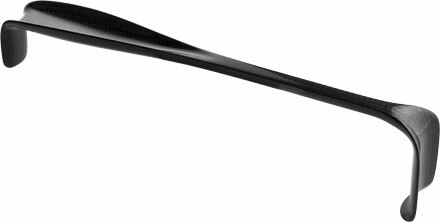 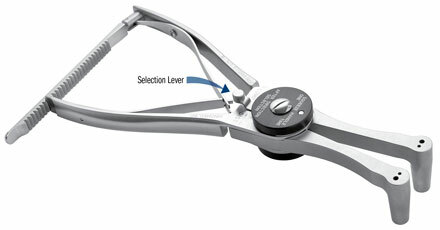 Handle can be rotated to right or left. 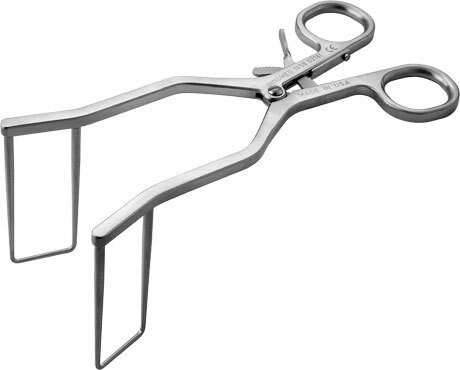 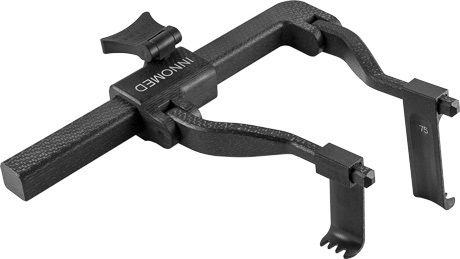 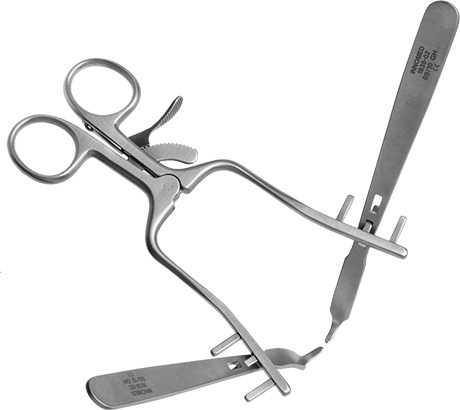 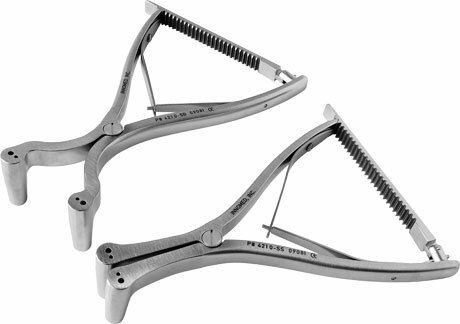 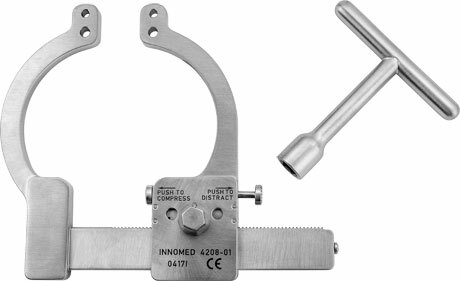 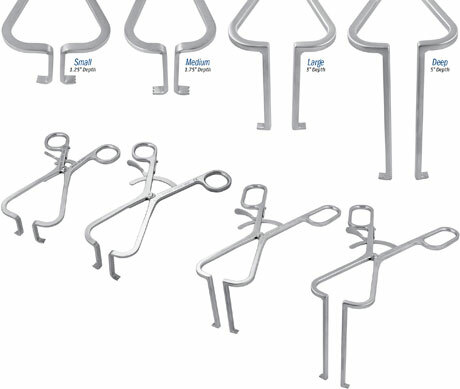 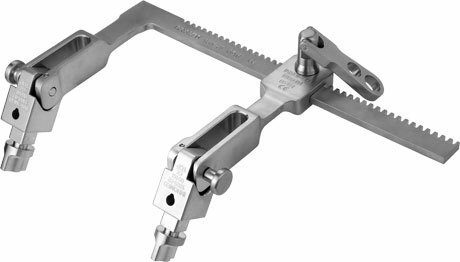 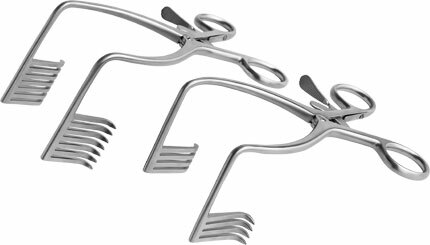 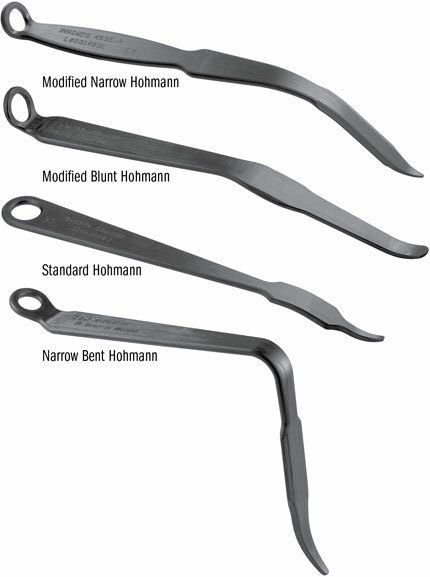 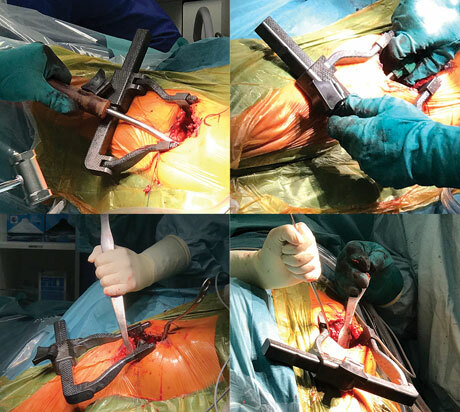 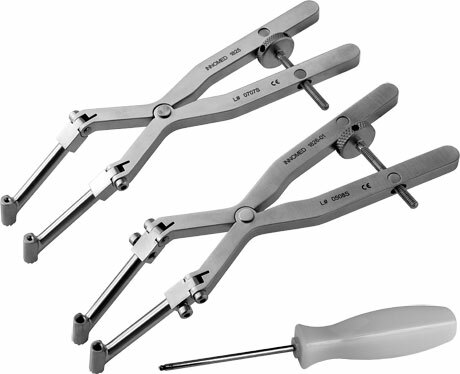 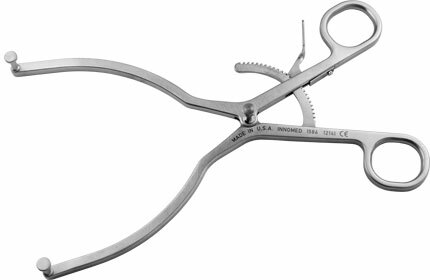 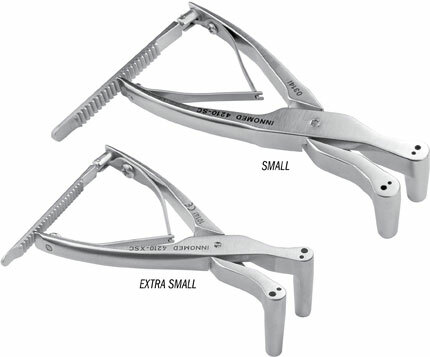 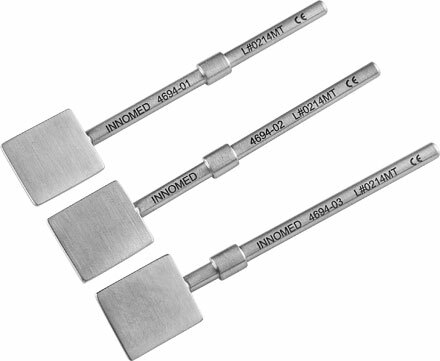 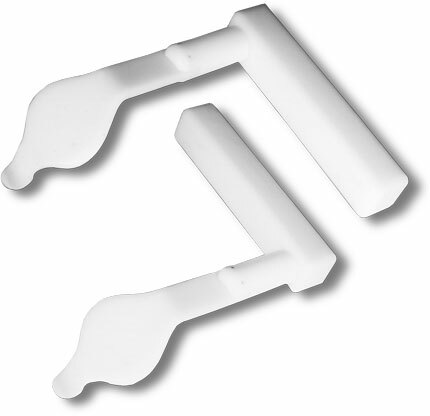 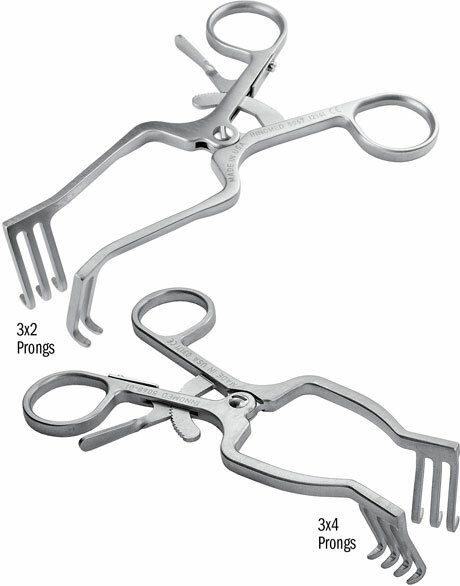 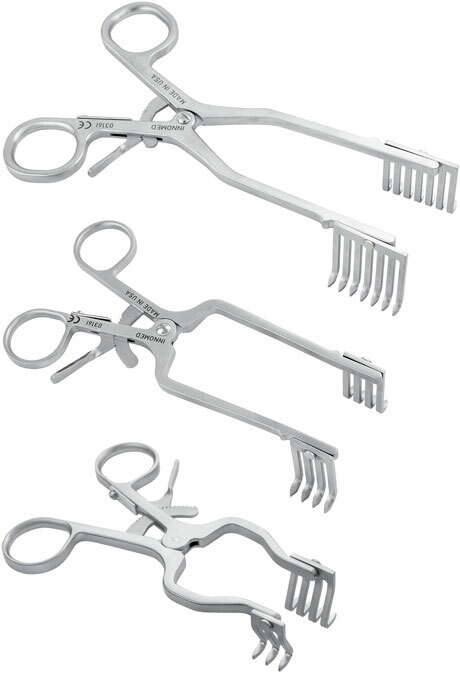 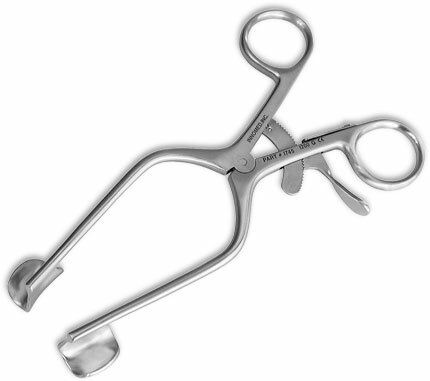 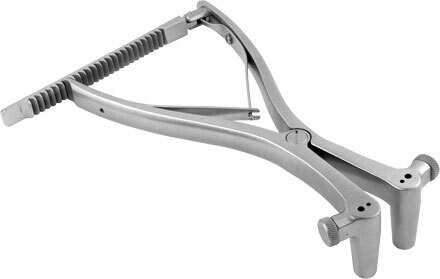 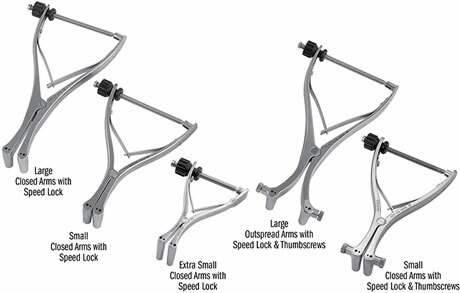 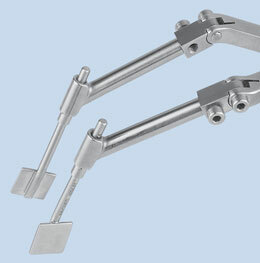 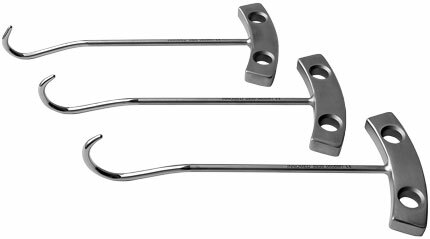 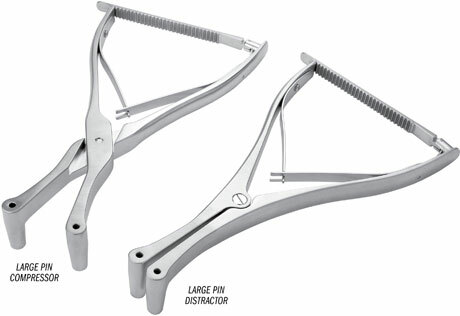 Designed to be used in hip fractures with the advantage that the retractor can be kept in place while using image intensification or taking an x-ray. 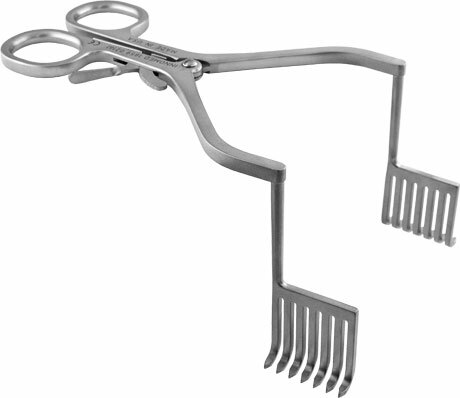 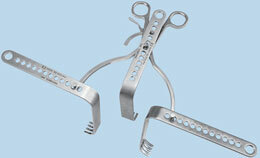 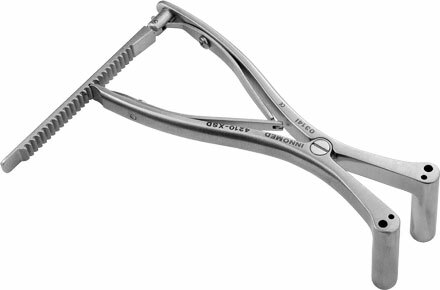 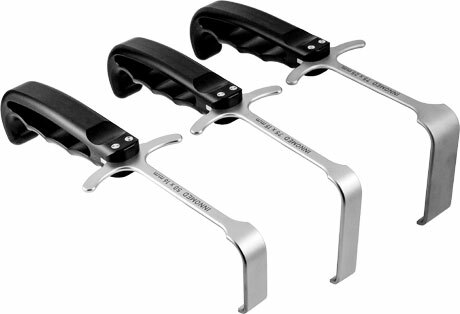 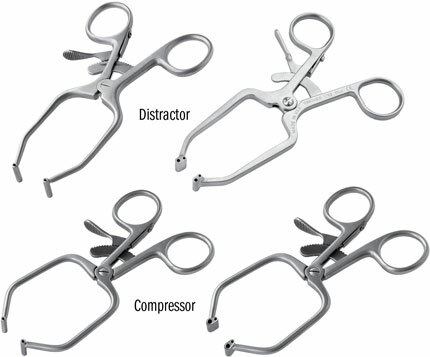 The handle can be rotated to the right or left for surgeon preference.May be steam or gas sterilized. 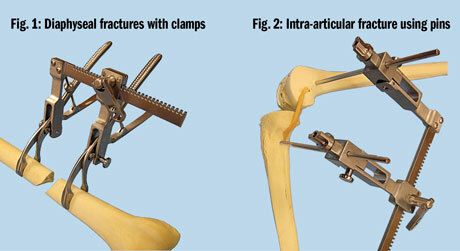 Bone clamps and Schanz pins not included. 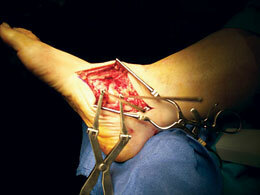 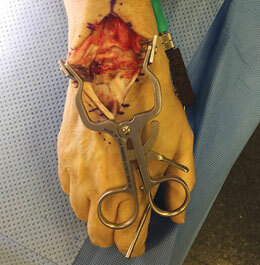 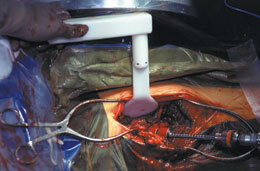 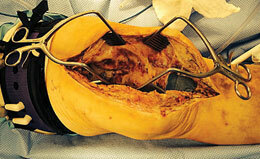 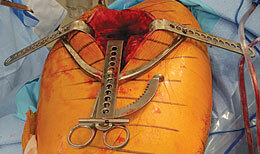 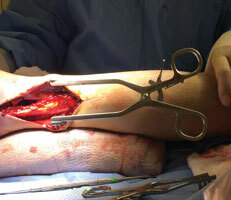 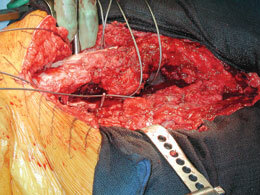 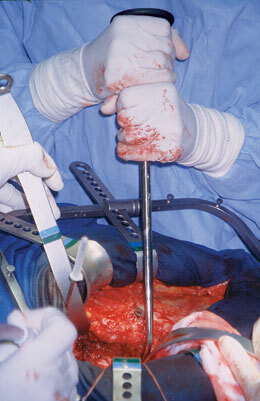 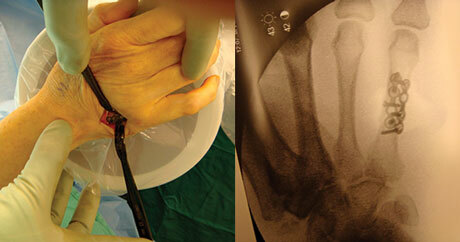 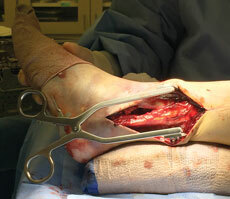 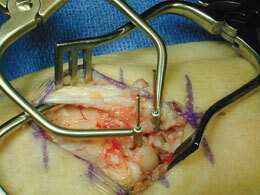 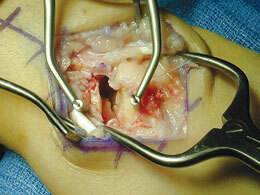 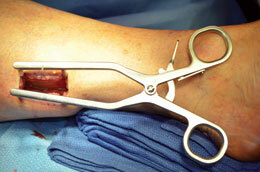 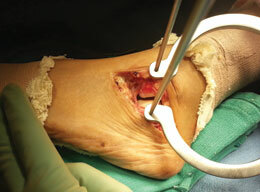 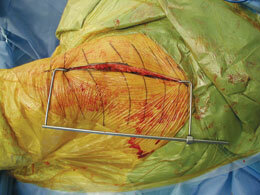 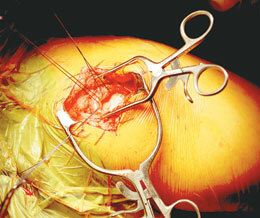 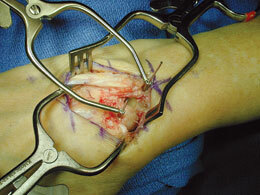 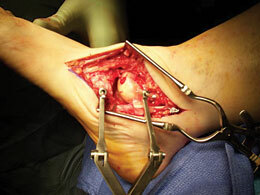 Useful for retracting tissues around the bone. 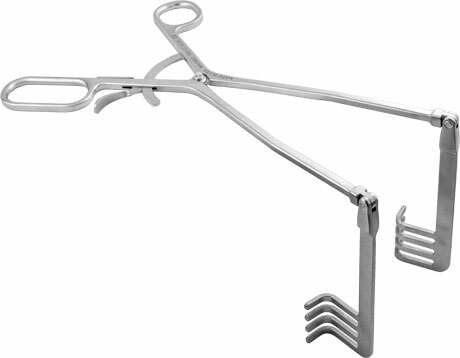 Can be held in place with weights or by hand. 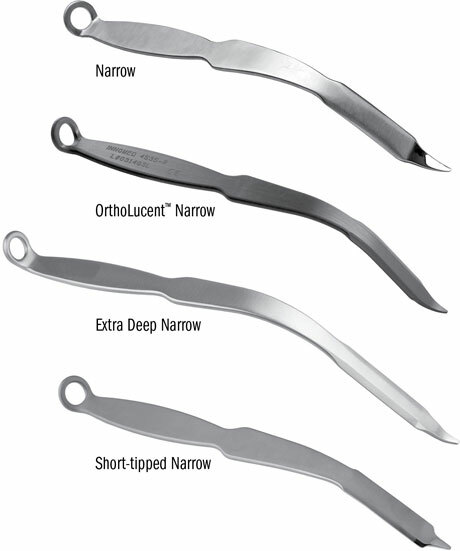 The OrthoLucent™ version is made of a lightweight carbon fiber PEEK composite material, which is completely radiolucent, helps to prevent from marring component surfaces, and can be steam sterilized. 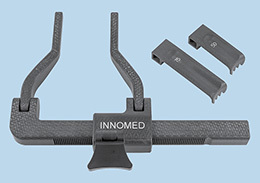 The OrthoLucent™ carbon fiber material is strong, lightweight, completely radiolucent, helps to prevent from marring component surfaces, and can be steam sterilized. 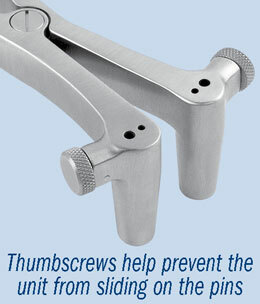 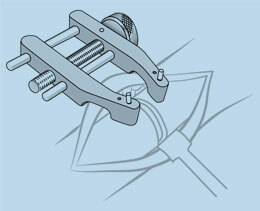 Available in configurations of 7 or 4 teeth to help maximize exposure. 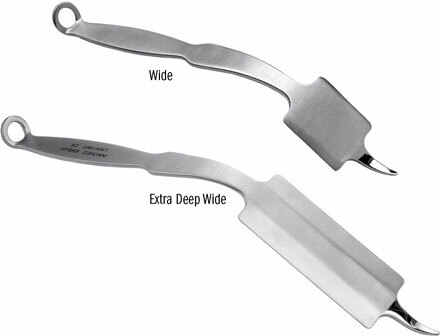 Sharp and dull teeth available in two depths.